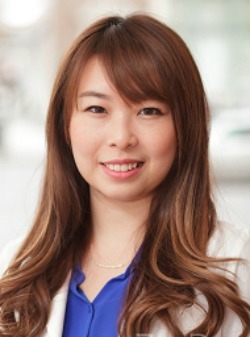 The newest member of our eyecare team is Dr. Vicki Chen, who completed her undergraduate study in Biology at the University of British Columbia, where she was the president of the per-optometry club. She obtained her Bachelor of Science in Optometry at the New England College of Optometry in Boston. Currently she holds licenses to practice optometry in New York, Florida and British Columbia. Dr. Vicki performs thorough eye examinations for her patients. She has experience in diverse patient populations including pediatric, geriatric and multicultural populations. She completed her internship at the Community Health Center of Boston and the Veterans Hospital in Providence. While there, she co-managed various ocular diseases, including macular degeneration, diabetic retinopathy and glaucoma. Dr. Chen is a member of the American Optometric Association, British Columbia College of Optometrists and the British Columbia Association of Optometrist. Dr. Chen speaks English, Mandarin, Japanese and enough Spanish to conduct an eye exam. Vicki enjoys traveling and volunteering in medical screenings to ensure equal minimum level access to eye care. After practicing in Manhattan, New York in a fast paced advanced ocular disease environment, she is ready to establish her career in British Columbia. On her days off, Vicki enjoys traveling as well as taking dance lessons and snowboarding. 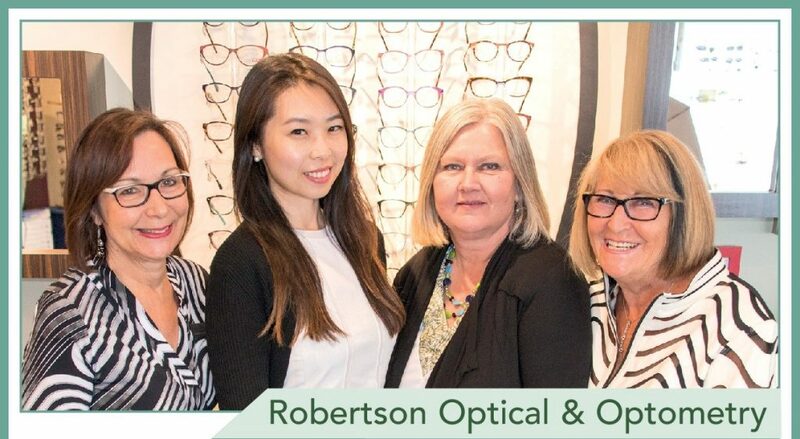 Krista is the first person you will meet when you contact or visit Robertson Optical & Optometry. She will book your optometry or contact lens appointment and will be pleased to walk you through every detail to ensure that you are informed and comfortable. As well as receptionist, Krista has a keen and artistic eye and is able to find the best frame to suit your facial features. “It’s very rewarding to see how happy a great frame choice can make our clients.” says Krista. Krista has lived in Delta for over 40 years. “We love our home and community and live in one of the most beautiful areas in B.C. ,” says Krista. She daily takes advantage of that beauty, walking her Labrador cross dog , Jackson in the Boundary Bay beach area. 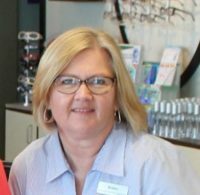 Jeannette is the clinic owner, and has been a licensed optician and contact lens fitter for more than 30 years. She enjoys helping people and has always focused on providing the best customer service in building her business. “One of the most rewarding experiences will always be the moment when a person puts on new glasses and for the first time or the first time in a long time, is able to see clearly. “We are fortunate that our profession combines art and science, optics is the technical side and the desire for a flattering image is the artistic expression.” says Jeannette. Jeannette spends part of every day assisting patients with contact lenses and enjoys the challenge of fitting multi-focal lenses. She believes the role of your eye care professional is to keep you up to date on product changes and technology in the optical industry. When she isn’t at work, Jeannette enjoys going to the gym, skiing, sailing and gardening. 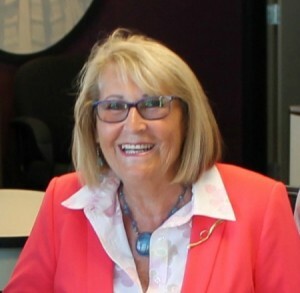 Originally from Alberta, Jeannette has lived in Ladner for more than 25 years. Ellen works part time at Robertson Optical & Optometry. 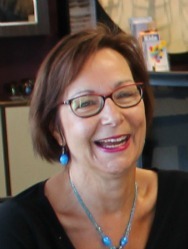 Ellen’s career in the optical industry has spanned three decades and has included all aspects of practice management, staff training and mentoring. In her spare time, Ellen enjoys sailing, skiing and of course, visiting the gym.